Uhuru Corp. will call for a new international set of standards for the IoT at the UN Centre for Trade Facilitation and Electronic Business (UN/CEFACT) today. MINATO-KU, TOKYO, JAPAN, April 5, 2019 /EINPresswire.com/ -- 3 April 2019: Geneva, Switzerland: Uhuru Corporation will call for a new international set of standards for the Internet of Things (IoT) at the 33rd Forum of the United Nations Centre for Trade Facilitation and Electronic Business (UN/CEFACT) today. Uhuru Chief Executive Officer (CEO) Takashi Sonoda and Chief Strategy Officer (CSO) Masamichi Tanaka will call for a White Paper to be produced, focusing on the potential explosive increase in data volumes as the IoT sector rapidly grows. Such data not only impacts the Internet but also the real world. As such, a lack of sufficient discussion on the topic may lead to dire consequences, such as AI trained with inappropriate data getting out of control, improper use of personal information by enterprises, or tampering with traceability records. “If we wish to live more comfortable and convenient lives, the collection of data through trusted devices is unavoidable. I am determined to play a key role in ensuring the establishment of a society with appropriate rules regarding the recording, possession and use of that data.” said Takashi Sonoda. 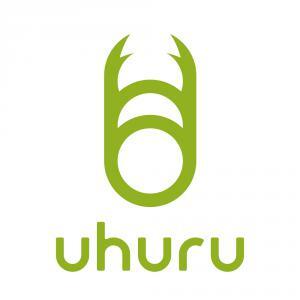 As a leading business operator in the IoT sector and as part of its proposal to UN/CEFACT, Uhuru plans to help solve these data possession and usage issues through its ground-breaking work in Wakayama Prefecture, which is situated in the Kansai region of Japan. The United Nations Centre for Trade Facilitation and Electronic Business (UN/CEFACT) is a subsidiary, intergovernmental body of the United Nations Economic Commission for Europe (UNECE) which serves as a focal point within the United Nations Economic and Social Council for trade facilitation recommendations and electronic business standards, as well as formulation of related global policies and technological specifications. It maintains the United Nations/Electronic Data Interchange for Administration, Commerce and Transport (UN/EDIFACT), the international EDI standard, and facilitates various technological specifications for next-generation EDI and common dictionary for EDI.